The most prestigious credit card in the world, VISA is accepted almost everywhere. Credit union credit cards have gained a solid reputation as being some of the best. Financial Partners Federal Credit Union makes these cards available to our members. 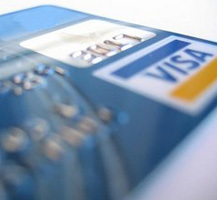 To learn more about factors to consider when applying for and using a credit card click here. Now there's a convenient and secure way to access your credit card information. Make your payments, check your account balances, or view your transactions - anytime! *Notice to VISA card holders. Effective January 1, 2009, all payments made at either of our offices will post to your account the following business day. To submit a payment for the same business day, you can use our VISAeez... service. Payments made prior to 5 p.m. Monday- Friday using this service will be credited that same business day. Sign up for VISA member alerts. Certain fees may apply depending on card usage. Please review your account Terms and Conditions periodically. Check out our new Travel Accident Insurance for Visa! *Attention all VISA card holders - If you have travel plans, please contact our VISA card center at 1-855-517-2616 or the credit union to request a temporary lift for the dates of your trip. Please be aware of all card restrictions before you travel, and when traveling, use your card with caution. Never let your card out of your site and only let authorized persons handle it. When using your card at an ATM, be sure to examine your surroundings and note any signs of tampering or anything else out of the ordinary. If you feel your card may have been compromised, please contact our VISA card center.